Welcome to the Interior Decor Files Part 2, if you haven't checked out Part 1 yet, do so HERE and come back quickly to see how I am transforming my home next, dealing with my small bathroom in this installment. Space Crunch is a reality of 21st century living and bathrooms often are the worst victim of space shortage. Bathrooms are also a part of the home and we spend a lot of time there. They should not feel cramped or suffocating. 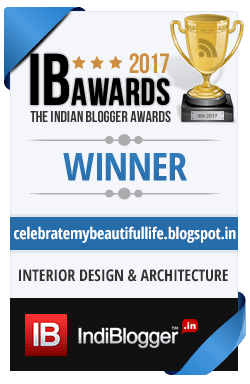 While we wish that bathrooms were our haven for unwinding, more often than not, we are faced with a cubicle which presents a plethora of design and décor dilemmas. There are several ideas to transform small bathrooms into an airy, spacious and comfortable room in its own right. All it needs is a little bit of creativity, ingenuity and the ability to look at the larger picture, literally! First, figure out the most important non-negotiable fixtures. 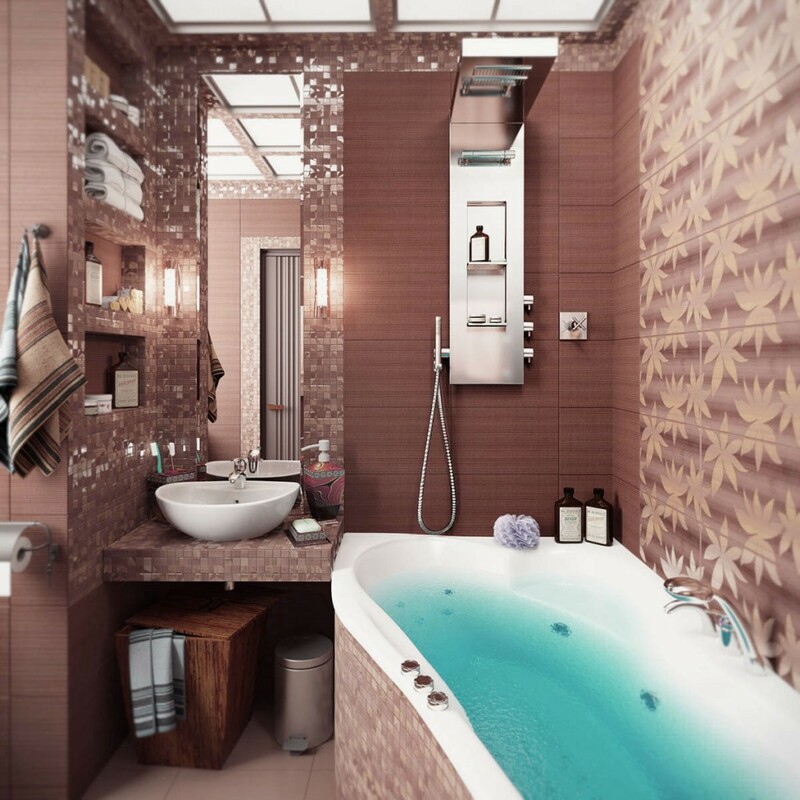 Is a bath tub really important? Is a full-fledged vanity essential? Then narrow down the field by opting for practical alternatives. Replace the bath tub with a shower cubicle. Replace the shower curtains with a glass panel which provides freed-up space illusion to the eyes. Instead of a bulky vanity, opt for a stand-alone basin. Similarly, opt for a wall mounted toilet and faucets. This arrangement frees up space on the floor. 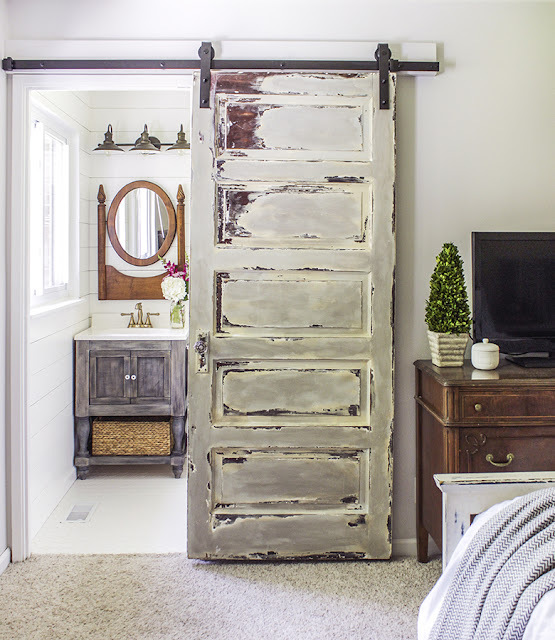 Most importantly, instead of a regular door, opt for a sliding one that would free up an incredible amount of space inside the bathroom. Also, make sure to never block natural light by covering up windows. 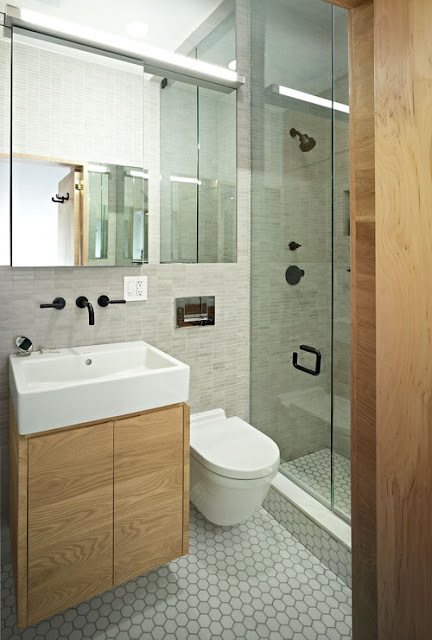 After the essentials are in place, focus on adding space without making the small bathroom seem cramped. In-wall shelves help store towels, washcloths and other important things. Ledges built above the washbasin/vanity or above the toilet create space without affecting traffic. Handlebars and robe hooks can be created behind the bathroom door or above the toilet. 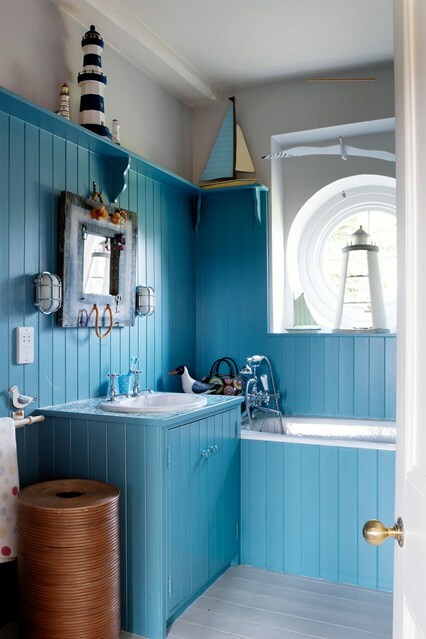 Small bathrooms actually are extremely helpful in coming up with outstanding colour and pattern combinations. Take care that they do not clash or overwhelm the little space. Create a focal point to take away attention from the small space using bold colours in the centre of the room. 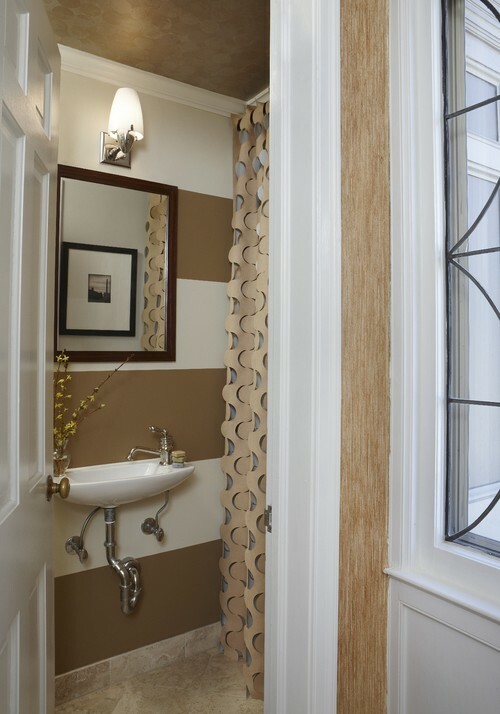 Use textures to highlight the back of the room which leads one to think that the space is bigger than it actually is! Synchronizing the bathroom flooring with shower tiles is another great trick to create the magic of more space. 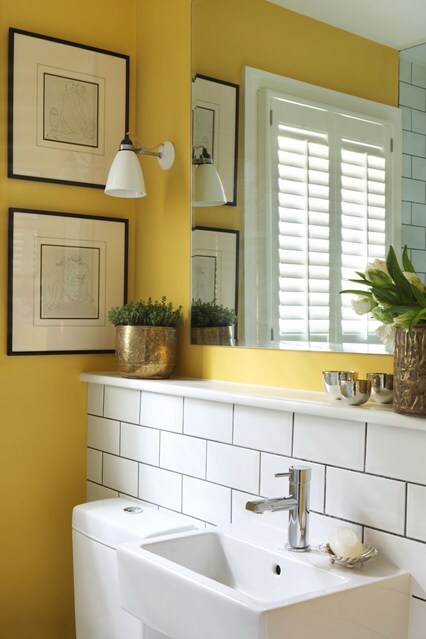 Bright colours are surprisingly good in creating a pop of space as well as transform bathroom into a fun place rather than a boring cubicle. Use colours such as white or pastel hues to create a feeling of space. 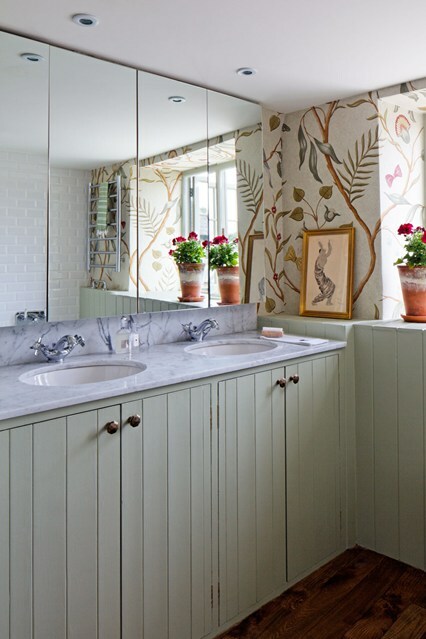 Mirrors are the easiest way to instantly double the space in any room and bathrooms are no stranger to this rule. They can be used as stand-alone above the vanity or in an uninterrupted streak across an entire wall or maybe cover an entire wall. The possibilities are endless. They work extremely well in conjunction with strategically placed lighting. Meanwhile, wallpapers, accessories such as paintings and other knick-knacks create a deeper effect to enhance the space-décor balance. 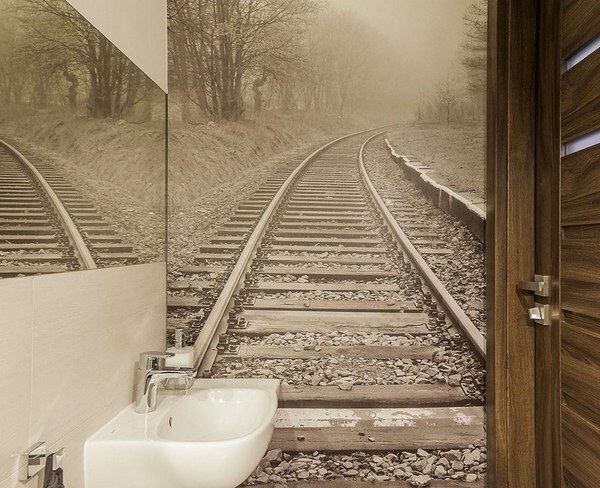 Even tiny space looks infinitely bigger by using wallpaper such as this! Antique Doll Collection | Hobby And So Much More!